It's time for another song analysis and this time it's a real classic that's one of the first songs that most guitar players learn to play - Deep Purple's iconic "Smoke On The Water." 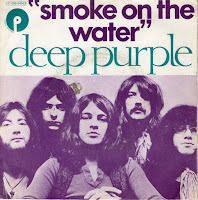 A song about a true event, “Smoke On The Water” went on to become not only the breakout song for Deep Purple’s career, but their best seller as well. The song illustrates the story of the recording of the Machine Head album, and the many twists and turns involved along the way. The band recorded the album in Montreux’s Grand Hotel, which was vacant for the off-tourist season, after an aborted attempt at recording in a local theater when they was forced to find a different recording venue after the neighbors complained about the noise. The basic tracks of “Smoke” there first were recorded there first, but the vocals, as well as the rest of Machine Head, were later finished in the makeshift recording environment of the Grand Hotel. “Smoke On The Water” is a fairly simple song consisting of the basic guitar riff that acts as an intro and interlude, along with verse and chorus sections. There is no bridge, but a twist at the end of the guitar solo acts as a bridge in that it adds tension and release to the song. The guitar solo, and later the outro organ solo, is over a verse with an altered arrangement. The song ends in a fade, although a later live version released as a single several years later has a hard ending. The song begins with a fairly long intro that starts with the guitar playing the main riff by itself twice. On the third time through, a double time high hat enters, followed by the snare drum on the next. 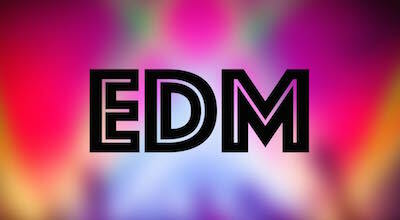 On the next two times through, both the bass and organ enter. The verse keeps all instruments in the mix, although the parts change; first with a fairly discipled part for the guitar, and fairly free-form parts for the bass and organ. During the chorus, the drums change the part slightly, while a second harmony vocal enters. The next verse and chorus are virtually the same, except for an organ fill towards the end of the second verse. The guitar solo is interesting in that it’s basically a verse except that the drums switch to a galloping snare drum pattern and the bass switches to a much more active pattern. The end of the section also has an 4 bar tag that acts like a bridge where the guitar solo plays across the next intro/riff section. The last verse and chorus are again identical to the previous. During the outro, the organ takes the lead as the song fades out, as the drums change their pattern once again. Even though “Smoke On The Water” wasn’t recorded in a “proper” recording studio, the sound is generally excellent, especially the drums. In fact, the drum sound is closer to something that you might hear today than the norm of the day. The record was recorded using The Rolling Stones mobile recording studio which was packaged in a large truck and responsible for quite a number of big selling albums from the 1970s, include several Led Zeppelin albums as well as albums for Fleetwood Mac, Bad Company, Bob Marley and many others. The truck was equipped with a 16 track tape recorder, which was more than enough for Deep Purple to record on, since the band wasn’t noted for highly embellished tracks at this time. While you’ll hear only a single short plate reverb on the recording, the echo on the guitar solo was supplied by a Revox tape recorder that was a permanent part of Ritchie Blackmore’s stage setup. As well as adding echo when needed, it also added an additional level of overdrive that the guitarist liked. The guitar is panned to the left, but you can hear the reverb on the right side during the intro when it plays by itself. The organ, which is run through a Marshall amplifier stack to sound more like a guitar, is panned to the right. “Smoke On The Water” is a very simple song played exceedingly well but a group of superb musicians. Listen to any garage band play the song and you’ll understand that the nuances make the recording, and that’s usually what’s missing in just about any cover of the song that you’ll hear. While the spotlight is on guitarist Blackmore and vocalist Ian Gillan in this song, it’s the drumming of Ian Paice that pushes it along. The precision of his drumming frequently goes unacknowledged, but a serious listen shows what he master he really is. Listen to any drum fill that bridges the various sections of the song and you’ll find massive technique along with unassailable taste. The fact that he makes it sound and look so easy is exactly what makes the parts work. The other part of the song’s production that’s interesting is the disciplined guitar part that Blackmore plays during the verse of the song. While organist Jon Lord is left to improvise, Blackmore’s part stays rock-solid throughout, something that’s usually missed by your local cover band." You can find more song deconstructions from all eras and all genres in my Deconstructed Hits series of books. You can read additional excerpts from this and my other books on the book excerpts section of my web site. If you're into electronic music, then you know that the rules that we use when recording and mixing live musicians are sometimes bent to fit the genre. BuildYourSound.com had a great post providing 50 production tips from EDM's hottest producers, and here are 10 of them from the article. Be sure to check out the original post for the rest. So what are these building blocks? Here's an excerpt from my Studio Builder's Handbook (written with Dennis Moody) that explains just what they are. 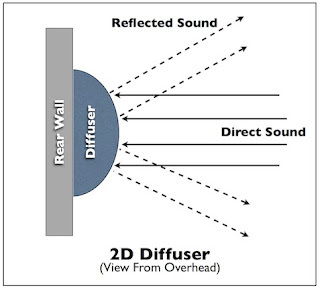 "Acoustic treatment for your room is built around three main components: acoustic panels, bass traps, and diffusers. Let’s take a brief look at each. With any of these acoustic components, you don't need to spend a fortune to achieve tangible results. That said, it isn't easy to predict in advance just how much of an improvement there will be for any given approach (even for the pros studio designers), so some experimentation is required." You can find out a lot more about how to build a home studio effectively and inexpensively by consulting The Studio Builder’s Handbook . You can also read some excerpts from this and my other books on excerpt part of my website. This week I'm pleased to have producer/engineer and recording artist Carmen Rizzo on my latest Inner Circle Podcast. Carmen has a rich history as an engineer (especially working for uber-producer Trevor Horn), before graduating to producer, then making the jump to being an artist himself. In the interview, Carmen describes the current state of electronic music and where he thinks it's going, as well as some of the pitfalls of being a producer today. In the intro I'll describe how a local tax on digital cloud-based entertainment in Chicago can lead the way to more taxes on our Internet use, as well as an unwelcome new development - a Peavey mixer with Autotune built in. We're very used to creating artificial acoustic environments in mixing all the time, many times without actually thinking about how this new environment might actually interact with the voice or instrument in nature. 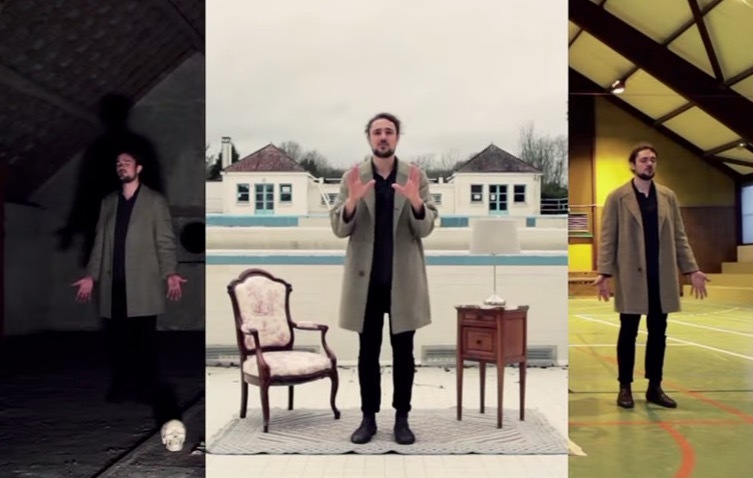 Here's a great video where you hear Joachim Mullner (also known as The Wikisinger) cleverly sing in a variety of different environments. Thanks to Mike Verzi for the heads up on this. There are a number of speaker systems, monitor controllers and stand-alone apps that will analyze the listening environment and tune your monitors to it accordingly. This used to be something akin to voodoo but it's so widely and inexpensively available now that we hardly blink an eye. 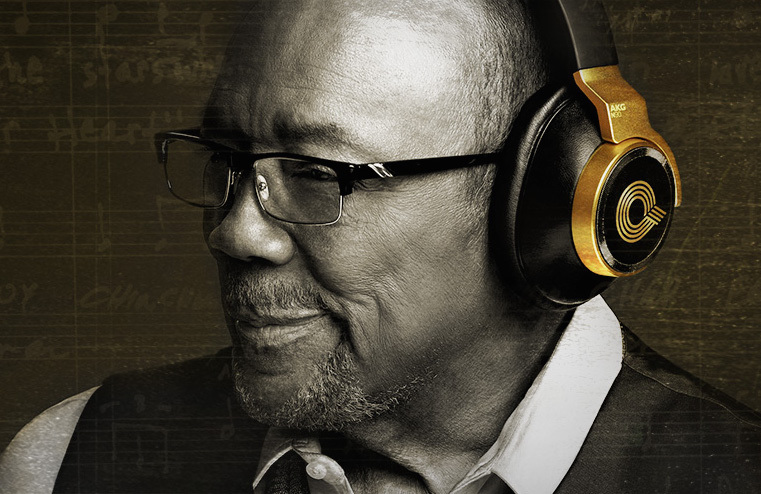 What is different is the new AKG N90Q by Quincy Jones headphones that feature something called TruNote, that uses the same analysis technology to customize the headphone's to the shape of the wearer's ear. Of course, Q himself was heavily involved with designing these phones, hence the name. The N90Q is truly a work of engineering. Besides tuning themselves to your ear via a pair of tiny mics in each earcup, they also provide a built-in 96k DAC and a USB port so you can plug in directly to your computer's digital stream and bypass the limited internal DACs for a better sound. Then there's the fact that they're noise canceling, have bass and treble controls on the left earphone and volume, On-Off, and DSP settings (Normal, Studio, Surround Sound) on the right cup. The phones carry about an 8 hour charge, and can be rejuiced via the USB connection or via a supplied backup battery called a Powerbank that connects via USB as well, for much more control of the audio than the normal headphone. The AKG N90Q by Quincy Jones headphones comes with a travel case, travel pouch, Powerbank battery, and various cables and adaptors so that the phones will work in just about any setting. These aren't for everybody however, thanks to the $1,500 price tag, which puts them out of the range of most studios. That said, if you're looking for the best and money is no object, they'll be worth checking out when available in early September.